JAZZ Q was formed in 1964 by Martin Kratochvil (piano) and Jiri Stivin (woodwinds). In their early years, they were inspired by the late 50s free jazz happening in America. By the late 60s though, after becoming familiar with the English rock scene, Kratochvil decided to go in a more electric and groove-based direction. Jiri Stivin wasn't keen on playing this style and left shortly after recording their debut LP from 1970 "Coniunctio", which was a collaboration with a severed line-up of Blue Effect, and stylistically was a mish-mash of rock, fusion and free jazz. Kratochvil completely revamped the line-up with guitarist Lubos Andrst (Framus 5, Energit), bassist Vladimir Pudranek (Energit, ETC) and drummer Michal Vrbovec. 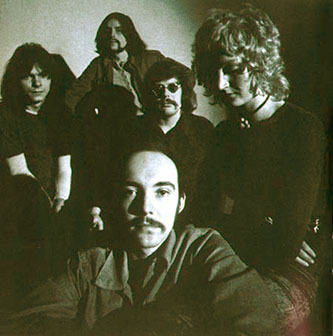 In this line-up they recorded what may be their best known album "Watchtower". Frantisek Francl replaced Andrst and the band also worked with the English singer Joan Duggan on their next LP, "Symbiosis" from 1974. Amongst the scores of sound-alike jazz-rock bands present at the time, Jazz Q really found their own voice, although it could be argued that later stuff was more stylistically definable. Jazz Q was also one of the few long-lasting Czech fusion bands, being active from 1964 till 1984. In 2004 they have regrouped in a classic lineup, although Francl is substituted by Zden?k Fiser, another jazz-rock veteran from the Impuls fame.